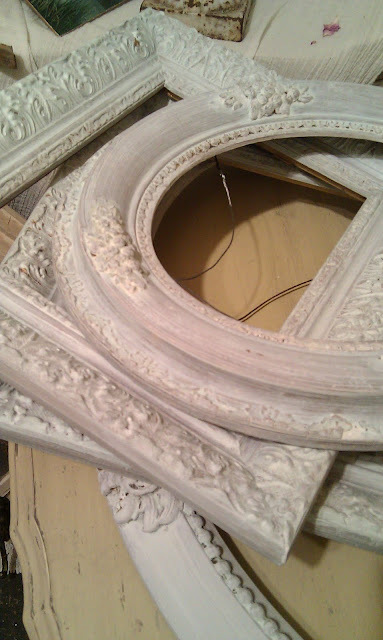 I have received several emails regarding what I referred to as a "gesso wash" on the frames in my last post. As you all know I love old world finishes. Well, gesso is as old world as they come. Ancient Egyptians used it as a base for wall paintings and to coat wooden artifacts. Gesso is a thick substance, somewhere between plaster and paint. Artist use it to prep their canvases. You can find it at artist supply or craft stores. 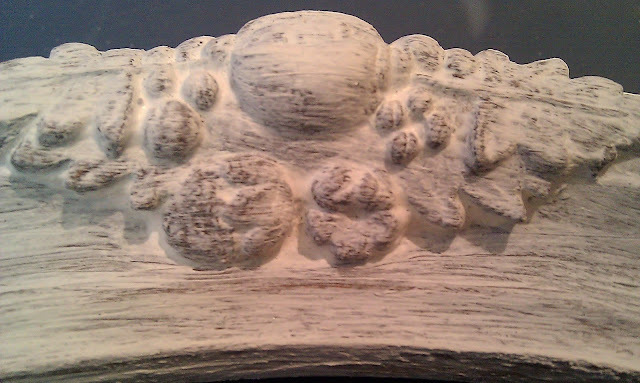 Gesso can be any combination of binder (glue), whiting, chalk or plaster, and pigment. 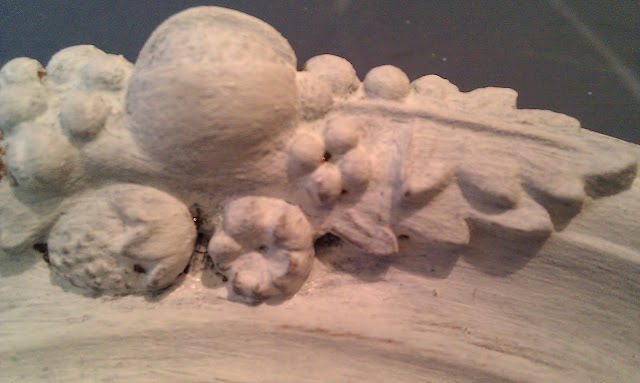 I used gesso on the corbel in my first pic. I'll show you what I did to achieve this in a minute, but first a simple gesso treatment. Here are the stack of frames from my last post. The frames were a dark gold, as was the one I'm about to use for my demonstration. The corbel was dark wood. You can do this. Make sure the piece you're working with is clean and dry, blah, blah, blah. 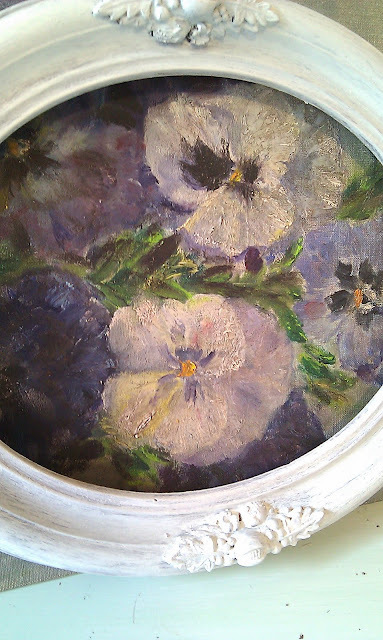 I first applied a thick coat of gesso right out of the container. Before it was completely dry, I went over it with a dry brush, to smooth it out a bit. 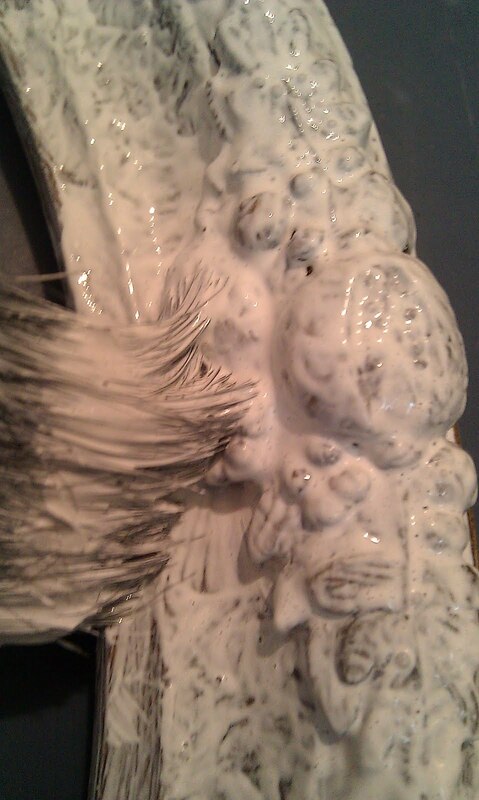 You don't have to use a different brush, just take a dry rag and remove most of the gesso from the brush you are using. Now, some of you may like it right at this point. If you do, you can stop. I prefer to apply a couple more layers of slightly watered down gesso to give it added body. That's it. 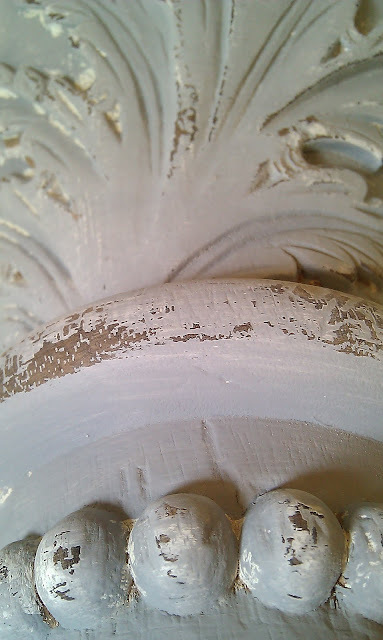 You can leave it with this rough plaster look, or sand it back, like I did with the corbel. Gesso comes in white, grey and black. I applied a layer of white to the corbel. Let it dry. I then applied a layer of grey. After the second layer was dry (gesso dries pretty quick), I used a sanding pad to smooth it out, and give it a little distressing. The frame would look good with a floral painting. Here it is propped against one. I also laid it on one of my tole trays. I love the soft full bodied look of gesso. You can get a fantastic finish with only a few steps. Although I prefer the dry chalky finish, you can wax or poly if you like. Hey, if you give this treatment a try, I would love to see it. Send me a pic. Go on, create a little gesso magic. 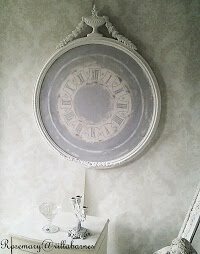 I'll be back with more to share soon, including more gesso projects and a redesigned clock case. 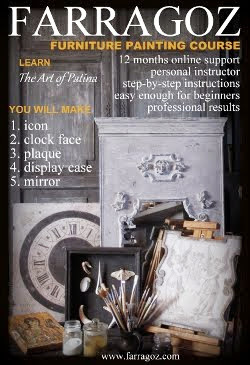 UPDATE: If you'd like to learn how to make your own gesso, you should check out the Farragoz online painting course. I'm an affiliate, and, although commercial gesso works, I have been using the paint recipes from the course, and, much prefer the versatility, and, texture. You can learn more by clicking HERE. I love this treatment Rosemary. I didn't know it was the same gesso used for priming canvass. I'm going to try this on some mirrors that I need to paint. 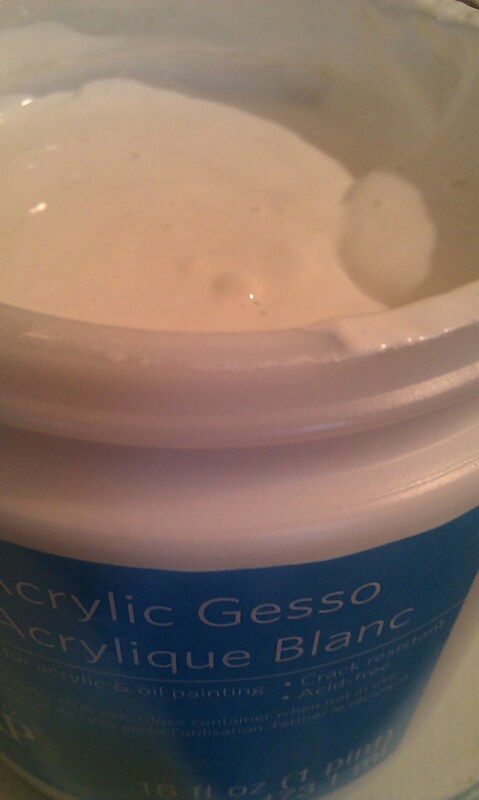 I already have gesso, now I cant wait to try it. Thanks so much for the great tutorial. Such a classic look! Very pretty! I have some gesso and I am anxious to give it a try and see what kind of finish It get...Thank you!! Who on earth would have thought of doing a gesso treatment like that? YOU did! Genius! I just love how this looks, and am now inspired to try it on something. You are amazing! What a great idea, thanks for sharing. I can't wait to try it on some frames! Wow, this is a new one to me. Your tutorial is great and I will keep this post as a reference for a stack of old gold frames I have. Your work is great. I'm so glad you popped in, I'll be your newest follower. Please visit me often. Doh! I paint and have gesso in my studio but I never thought to use it in this manner. I'm super excited now to redo some old frames I have in the attic. This will probably be a completely 'no cost' project. Thank you, thank you, thank you. I like this treatment Rosemary! Although I use gesso to prepare canvases, I've never used it like this. Thanks! What a wonderful idea! 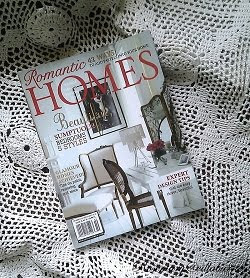 Thanks for sharing this, I never think of gesso! Gotta tell ya...I've heard of Gesso a million times & I never knew what it was for...but now, I'm gonna try it! I love love love how you made it look on your frames...I hope I can do as well! I have got to try this treatment!! Your frames look gorgeous! really nice work - I like your technique and definitely appreciate the way you explain your method. I've been thinking about trying to find a couple of small corbels to prop up a little shelf that I'd like to place over a hall doorway. I just never seem to go shopping. It will probably have to wait until Round Top this fall. Your corbels are SO pretty. Hmmmm. I guess I better get out that old bottle of gesso. I love the treatment on the frames. Thanks for stopping by Dogs and Grandkids. I am a new follower :). Oh fabulous product! Thanks so much for sharing that with us. I will give it a try. Wow! I've been painting so long I've never really seen the creative possibilities of gesso, other than being an base for my paint! Thanks for the ideas. I'm loving it!!! 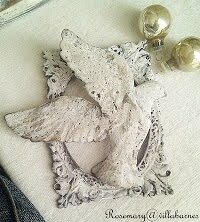 Would you consider linking this project to my linky party Simply Creative over at 365 days 2 Simplicity? It would be perfect! Thanks for the step by step...love the white and gray combo! Nice to know! 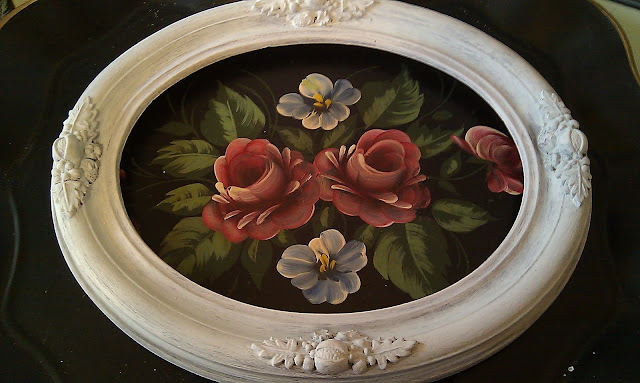 I have an obession with picture frames and I might just have to try some gesso on them now! Your a doll for showing us this! I actually have some gesso I bought to prep a canvas and I haven't used it yet. I also have a corbel that I need to finish and this is PERFECT! I can't wait to try it. Thanks for putting this on here at Home Sweet Home! I will feature you next week, gesso isn't talked about as much as it should be! Can't wait to try this! Thank you so much for sharing your secret! COOL..never heard of this. Thanks for teaching me something new. 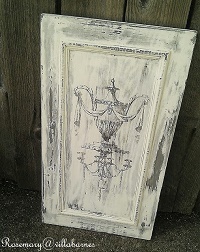 Wow, Gesso can give inexpensive items such old world charm! Have to try this. Thank you so much for sharing this technique! I love the look you achieved. 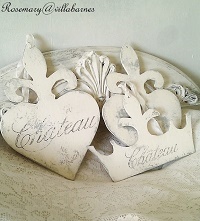 Great tutorial- I have never just used gesso for a paint treatment but why not?-It looks great! You always have such beautiful pieces to work on! Keep the inspiration coming! Oh! Oh! Oh! Can't wait to try! Too bad I have plans for the next 3 weekends! GRRR! But you can bet this is on my list to try. Thanks for sharing. What was the ratio of paint to gesso you used to get the custom color? Wow, I love this tutorial, thank you! will try it. You're a genius! I'm going to have to try this for sure. 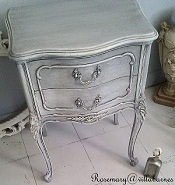 I love the finish and I think gesso is less expensive then most paints too. Love this technique Rosemary!! I want to try this. Great job, by the way. Yep. Add Gesso to my list of things to get. I have several pieces that would work well with this! Thanks Rosemary! Hi Rosemary: sure glad i was surfing and found your site. i have worked with Gesso and have the white. i'm thinkin' i could add a drop or two of color to the white to achieve a different shade, like the gray or a pink or blue...what do you recommend? thanks for sharing. I am going to try this. Thanks for a great tutorial. I love it that you don't use the usual... this is an awesome finish - ALL of your pieces have awesome finishes!!! This looks wonderful -- have I read the tutorial right, that you use the gesso in place of "regular" paint? Does it stand up after waxing? Or can you only use it on something like frames or mirrors that don't get a lot of hands-on use and wear? I know --lotsa questions but I've got lots of furniture to paint for our beach house and would love some chalky looks but can't afford the chalky paints. Thanks! Hahaha... my artist daughter just informed me that Gesso IS paint! i am sooo happy i came acros your blog! Great work, great tutorials. I am now ready to start doin a few projects i didn't have the confidence to do before, like crackling paint, and now usign gesso. thank you so much! I have some gesso on hand from my canvasses - never would've thought to use it as a paint...duh ;) Thanks for the tips! I have clean dishes in the dishwasher, dirty dishes in the sink and clothes in the washer and dryer but here I sit. I can't seem to break away from your awesome blog. I love your beautiful creations and I love that you share your processes with your readers. Thank you. You have a new fan. I'm on overload from all the wonderful ideas you have...and that's just fine!!!! Thanks for your generous spirit in sharing. I went to Hobby Lobby today and bought two small jars of white and gray gesso! After painting a frame,shelf and mirror with the gray gesso I've decided to buy more!!! I love it!!! I love this! I hope you don't mind that I Pinned it. Love it! I would love to do this on some flower pots outside that can use a little redo. Thanks for sharing. Would I be able to find this like at Hobby Lobby? Daniel Smith Artist's Materials make many colors of gesso - including gold and a red. You may love them as I do. I use the gold under all my oil paintings - but this post makes me think I will now use it on my frames! I just posted about trying gesso and threw the credit back to you for opening my eyes to this great finish and for your excellent tutorial. I suddenly know what to do with my golden mirror frame. Thanks for sharing! Ever since I read this post, I'd been wanting to try gesso. I like what I did, I'd love for you to come on over and take a look, if you have some free time. I am new to the party. And I love this. I was wondering if it can be applied to unfinished wood? I have a modern mirror what I was going to add some wood embelishments or shells to. But I wonder if this would cover them. Will be back again & again & again. absolutely lovely! love your blog and your work. thank you so much for the information. I've added color with paint, and, pigment. Whatever is easier for you. Just don't overpower the gesso. You can always water the gesso down a bit, and, apply more than one coat. Or, just sand it to smooth out the strokes. What type of brush you use makes a difference too. Looks fab! 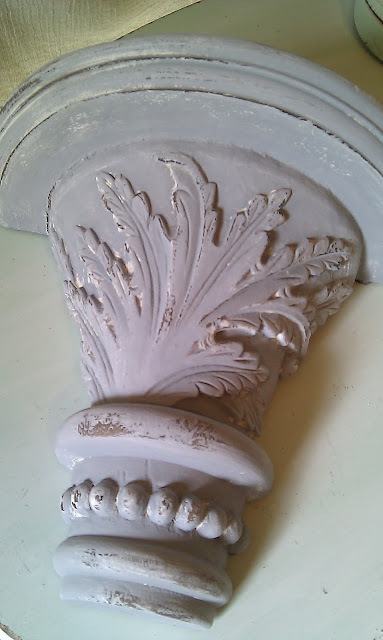 I make my own chalk paint with white matt emulsion and a paste of 3:1 Plaster of Paris and water. How did you get the gold one it? Did you paint it on there once it was dry? Or was it the base color and once you sanded the piece the gold showed through??? The gold is the base color.